Back from the Worldcon in Helsinki this August, a gathering of science fiction’s great and good. Japanese attendees maintained a strangely low profile at an event that often made me muse upon the thinning of the old guard, and the continuing onrush of the new. While a block of fifty Chinese fans paraded big-name authors, pushed their upcoming Asia-Pacific convention in Beijing and ran a riotous party, the Japanese huddled at a dealers’ table and rarely seemed to venture out. I found myself on two anime-related panels having to apologise for the lack of native speakers, with representatives from the homeland of anime and manga seemingly unwilling to volunteer to talk about it publically. Despite this, two awards were dished out with Japan connections, both sneaking in under Japanese fandom’s radar. One was for Ada Palmer, sometime historical consultant for Funimation and the founder of the Tezuka in English website, although her accolade here was a John W. Campbell Best Newcomer award for her novel Too Like the Lightning. 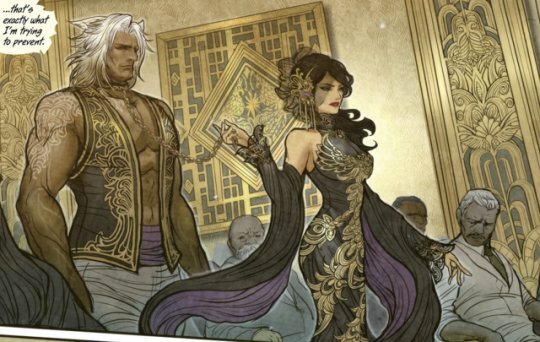 The other was the Best Graphic Novel Hugo, handed to writer Marjorie Liu and artist Sana Takeda for their ongoing comic series Monstress. Although drawn in Japan by a Japanese artist, and hence perfectly deserving of a manga tag, Monstress is far better imagined at the forefront of modern “woke” comics, intimately concerned with the powerlessness of slaves and chattels in a colonialist society – what it feels like to be an object in someone else’s world. 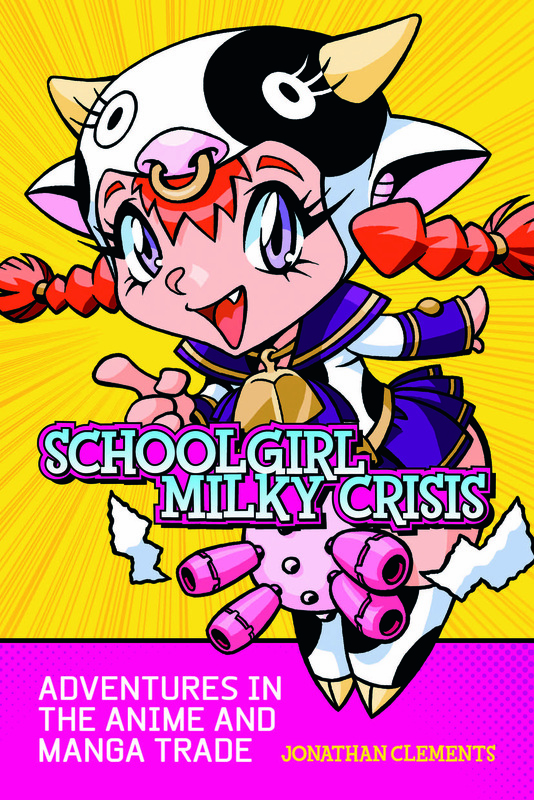 Trawling through online reviews, I see many readers ascribing a manga sensibility to the artwork. This is news to me – Takeda’s imagery seems to strive to be as un-manga as possible, luxuriating in the availability of a colour palette, thin lines and a sedate panel progression – if it reminded me of anything it was Colleen Doran. One imagines that faced with visceral, violent imagery, some American readers are immediately prompted to pronounce something as “manga” – which is also ironic, considering the reputation that Image Comics already enjoys without any help from across the sea. The cast are largely women, but Takeda refuses to objectify them. No fan service here – instead these are characters getting on with their various stories, showcasing a cast of widespread ages and grotesqueries, as if Orange is the New Black were suddenly invaded by a coven of steampunk cannibal witches. It’s Liu’s writing that imparts Monstress with its true chills – feral, fearful creatures with magical powers, locked in eternal conflict with predatory, flesh-eating ghouls, constantly fighting to gain control of their own destiny. Jonathan Clements is the author of Anime: A History. This article previously appeared in NEO 169, 2017. Worldcon visitors this summer need not panic; allthough certain Finns may grumble, and locals themselves sometimes whine about their capital as if it were some sort of urban jungle, Helsinki is a charming city. Architects feted elsewhere in their Finnish hometowns have left many of their finest marks in the very buildings of the central district. Many of its sites are within walking distance, and a tourist bus line links the outliers and the cruise ship terminal. Buses and quaint trams ply similar routes, including one tram that is a travelling pub. Visitors should be warned: it lacks a travelling toilet. This, and further insights below, are extracted from An Armchair Traveller’s History of Finland (UK/US) by Jonathan Clements. 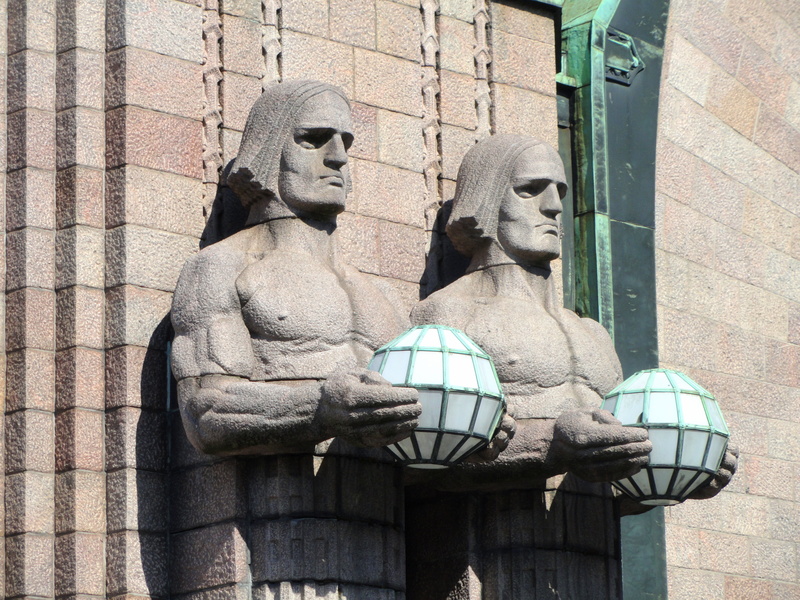 The visitor’s first sight of Helsinki, either descending from the airport bus or arriving by train, is liable to be Rautatientori (Railway Square), dominated by the temple-like railway station designed by Eliel Saarinen, its walls held aloft by great stone titans like heavy-metal rock gods. Animated and rendered a little cuter, these colossi often appear on posters and adverts for VR, the Finnish rail network. The author admits to a dorky thrill whenever he arrives at the station, as often one will catch a glimpse of the St Petersburg train at one of the platforms, adorned with alien Cyrillic, staffed by scowling baboushkas, and ready to depart for another world. In the square outside the station’s east exit, outside the vampire’s castle that is the National Theatre, an odd statue of the author and playwright Aleksis Kivi shifts uncomfortably in his seat, as if he has just sat on something sticky. He faces the Ateneum, Helsinki’s National Gallery, and home to many of the most famous artworks of the National Romantic period. A few steps to the south-west of the square is the southern end of Mannerheimintie, (Mannerheim Road), named for the country’s famous Regent and one-time President. This is the centre of Helsinki’s shopping district, boasting an iconic statue of blacksmiths at work, and the entrance to the Stockmann department store that sits beneath the Stockmann Clock. There is nothing particularly remarkable about the clock, but Finns seem to cling to it as a meeting place, and an encounter ‘beneath the Stockmann clock’ is an early phrase that torments many beginning students of Finnish. 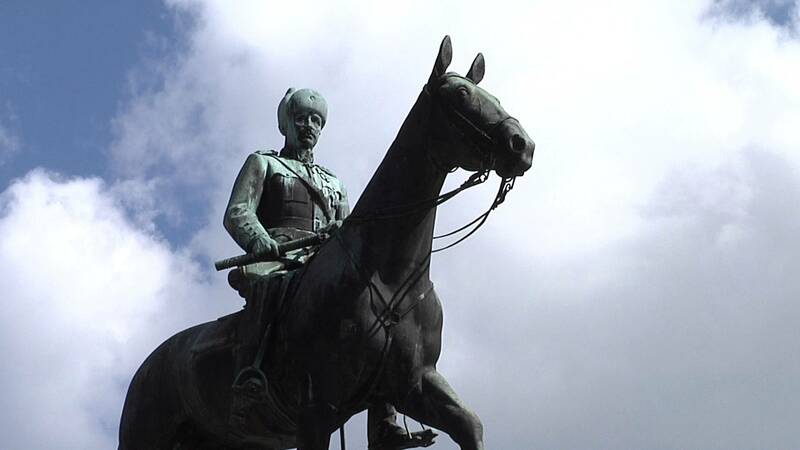 The Statue of Mannerheim on his horse is here, walking earnestly past the nearby parliament, rather than facing it or putting his back to it. Statues of other Finnish presidents lurk around the parliament steps like discombobulated party guests, staring dourly at the news crews shooting pick-ups, and across the road at Kiasma, the modern-art counterpart to the Ateneum. With typical Finnish self-awareness, the Suomen Kansallismuseo (National Museum of Finland) is itself a museum exhibit, one wing of which is designed to look like a church, which stood it in good stead during the war, when its appearance may have warded off Russian bombers. It was also the site of some scuffles during the Finnish Revolution, and its front doors still proudly display the bullet holes shot in the windows, now preserved behind a second layer of glass. The lobby is decorated with frescoes depicting scenes from the Kalevala, painted by Akseli Gallen-Kallela, and that’s before you’ve even bought your ticket! Russian-era Helsinki was famously designed in imitation of St Petersburg, leading to its substitution for that city as a film location during the Cold War. Although tour guides make much of this, anyone who has seen St Petersburg themselves will know that the resemblance is merely superficial. Watch one of the aforesaid films, such as Warren Beatty’s Reds (1981), and images of Helsinki are shot in close-up, offering little more than street-level backgrounds and cobbled streets. 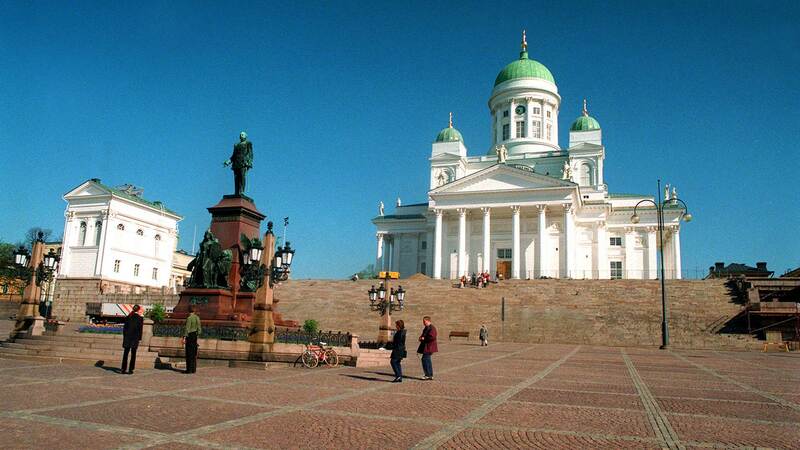 Commonly, ‘St Petersburg’ imagery in films derives from Senaatintori (Senate Square) at the city’s historical centre, with towering steps leading up to the Neo-Classical cupolas of Helsinki Cathedral. The cathedral is frankly more impressive on the outside than within, since its interior displays an austere Lutheranism, as if Ikea were put in charge of church design. In the centre of the square stands the Statue of Alexander II, ‘the Good Tsar’ who granted the Grand Duchy of Finland greater autonomy under Russia than it had ever enjoyed under Sweden. It is supposedly the only statue of a Tsar standing outside Russia, and is an enduring testament to the love that the Finns once had for the country to the east. As the Russification policies of his successors began to bite, Alexander’s statue became the site of a subtle, peaceful protest as Finns laid wreaths at his feet, mourning not only his death, but also the slow erosion of his kind policies. From Senaatintori it is but a short walk to the cobbled harbour, the site of many a farmer’s market and coffee kiosk, and ferries. The site of Helsinki was originally called Vironniemi (Estonia Point), and its proximity to Tallinn is still reflected in the hydrofoil terminal that will whisk you away in just 90 minutes. For anyone who is inexplicably tired of the Finnish capital, Estonia beckons within commuting distance. The harbour sits at the end of the Esplanadi, twinned parallel north and south avenues that lead back to Mannerheimintie, and constitute some of Helsinki’s prime real estate – their meeting place, at Erottaja, is the most expensive spot on a Finnish Monopoly board. It is the site of several posh restaurants, the Swedish Theatre, and Havis Amanda. 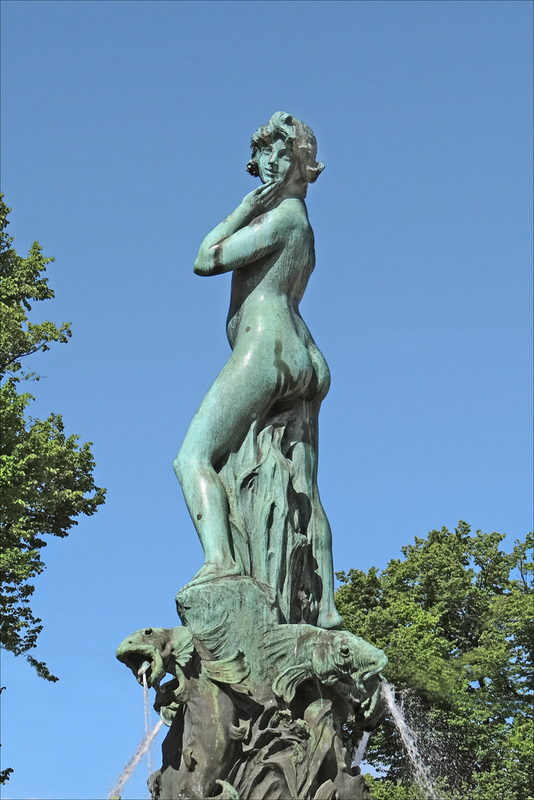 This naked nymph, sculpted by Ville Vallgren (see Gazetteer: Porvoo), reflects the artist’s Art Nouveau inspirations, and was the subject of scandalised tutting in the Finnish media when unveiled in 1908. A loving recreation of the gamine curves of a French teenager, it caused uproar among Finland’s newly enfranchised women voters but is now a much-loved part of the scenery, affectionately nicknamed Manta. Her fountain waters apocryphally grant sexual potency to anyone who thrice washes their face and shouts ‘Rakastaa!’ (Love), and her crowning with a white student’s cap marks the beginning of Walpurgisnacht celebrations (see National Holidays and Local Festivals: Vappu). What was once clearly a student prank is now televised annually. The harbour is also the place to get the ferry to nearby Suomenlinna, the Fortress of Finland, which remains a quaint getaway for the marine-minded. It evokes the Swedish, Russian and Finnish eras with numerous installations, as well as a couple of military museums and the Vesikko, a WW2 submarine open to the public. Visitors can also poke around the largely ruined fortifications – don’t miss the King’s Gate, built in 1752 as a sufficiently royal arrival point for Swedish rulers. Nearby inscriptions note that King Adolf Frederick laid the first stone here, while a sad, uncompleted plaque leaves the date blank for King Gustav’s laying of the final stone (he never got around to it). Beneath a plaque announcing that these ‘wolf islands’ have been transformed into a fort for the Swedes, a second inscription intones these immortal words: ‘Eftervärld, stå här på egen botn, och lita icke på främmande hielp.’ It is a fine prophecy for the world that lay in wait for the Finns: ‘Those that come after us, stand here on your own foundation, and trust not in foreign help.’ Arrive at around 09:30 or 17:15 and you can watch the gigantic cruise ships squeeze through the narrow strait (‘Gustav’s Sword’) to Helsinki harbour. Helsinki City Museum is not one but eight separate facilities dotted around the city, including several villas and burghers’ houses, and the Street Museum on Sofiankatu, which recreates town life in earlier times. The Uspenski Cathedral, Orthodox counterpart to the Lutheran one, is a more sedate, red-brick affair, deriving its name from the Russian for ‘the Dormition of Mary’. 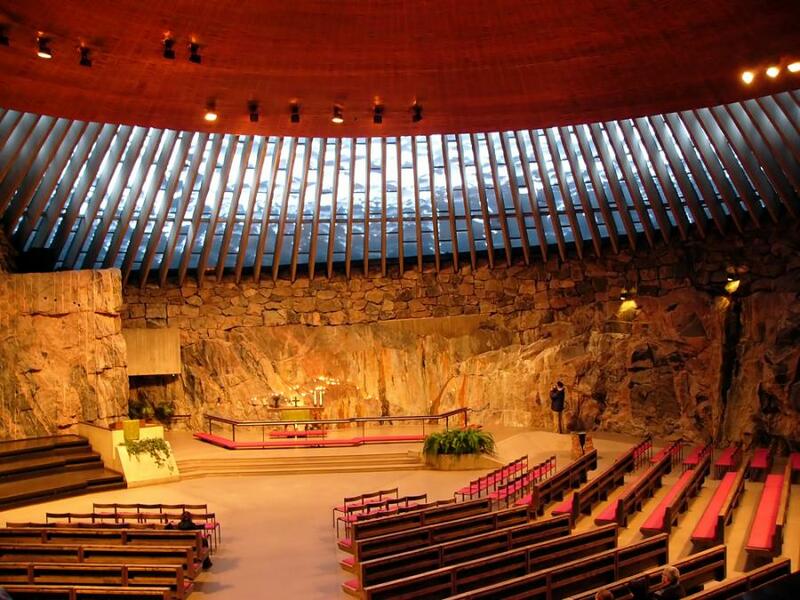 Perhaps Helsinki’s most internationally well-known religious building is further out of the centre at the Tempeliaukion Kirkko (the Church in the Rock), which as the name implies, was hewn into the bedrock. For some reason, this site appears to attract more than its fair share of Japanese tourists. Out in the Kaivopuisto district, where many foreign embassies and consulates can still be found, the Mannerheim Museum is sited inside the former president’s house. Beware: it is only open on Fridays, Saturdays and Sundays, and free-range visitors are not permitted. The admission fee includes a well-informed guide, although only speakers of Finnish, Swedish and English are liable to be available off the cuff. If you speak French, German, Spanish or Russian, it is best to book ahead. Another Finnish president, who defined the nation throughout the Cold War, is celebrated at the Urho Kekkonen Museum in Tamminiemi – you can book a guide any time but it is far cheaper to take the once-a-day scheduled English tour at 14:30. Finnish and Swedish tours are far more regular; German ones must be booked in advance. These are but a fraction of the many sights that one can find in Helsinki, which is riddled with smaller museums celebrating everything from the post office to the power company to the Salvation Army. As one might expect from any capital, it is also richly endowed with living history. You can still have cocktails at the Hotel Torni, a favourite hang-out for Cold War spies, or stroll in Kaisaniemi Park, where the eleven-year-old Mannerheim won his first recorded victory – a snowball fight. Jonathan Clements is the author of An Armchair Traveller’s History of Finland (UK/US). The Tolkien Estate has long mined the rich resources of its own archives, not the least with Christopher Tolkien’s 12-volume History of Middle Earth, a shelf-busting sump of drafts, notes, unpublished manuscripts and annotations which cunningly smuggles pretty much all of Tolkien’s intellectual property, including The Lord of the Rings itself, into copyright until the 22nd century – as the “co-author”, the still-living Tolkien Junior and his heirs retain ownership until 70 years after his own death. Were it not for this clever move, the likes of The Hobbit would become public-domain within the next 30 years. Unpublished manuscripts, of course, are a different thing, and Verlyn Flieger is but one of many modern academics who get to treat musty Tolkien files in an Oxford library as if they are long-lost scrolls from the Silk Road. Her account of the condition of Tolkien’s original papers, etched with crossings-out and multiple renditions of the same line, makes it clear how much of a reconstructive exercise The Story of Kullervo is, of a text that was never quite constructed in the first place. 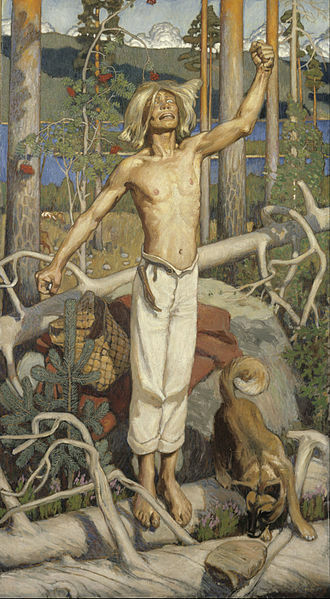 Kullervo was a very early work, undertaken by Tolkien in his twenties when he had stumbled across the myths and legends of the Finnish Kalevala. The eponymous hero is a slave-boy prone to fits of murderous rage, who kills his brother, turns cows into bears, shags his sister and has conversations with a talking sword. Naturally, with a resumé like that, he became an icon of Finnish nationalism, the subject of the first ever Finnish language stage-play, as well as a bunch of adaptations into other media, of which Tolkien’s was perhaps the most obscure, languishing unread in a pile of papers until rescued by a group of academic scavengers. 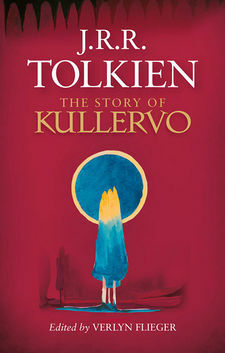 In a continuing, and frankly welcome modern trend in Tolkieniana, the relatively slim text of Kullervo itself is bulked out with relevant academic essays, including a lecture by Tolkien himself, and Flieger’s own analysis of the place of Kullervo within his work. This occasionally confronts the reader with the cant and argot of Tolkien specialists, such as the use of the term Qenya, for the Elvish proto-language, rather than Quenya, the High Elvish spoken by the time of the Lord of the Rings. 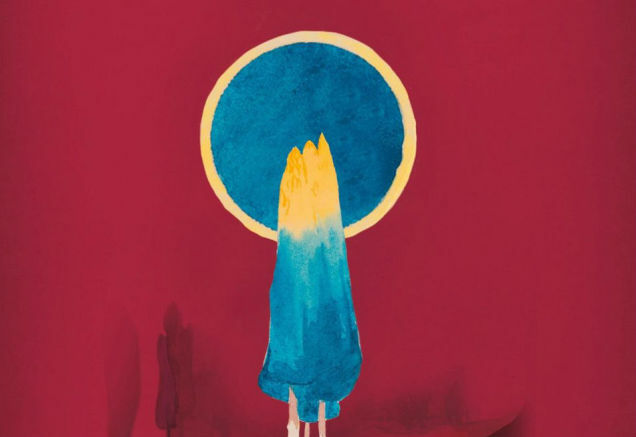 In general, however, they are far more interesting than the text of Kullervo itself – eruditely footnoted, and steeped in the historiography of both Tolkien and Finland, right from the very cover image, which seems to invoke the Sami flag. There is a regrettable moment of sloppy editing, that one hopes can be swiftly redacted in at least the digital version. The introduction claims that Sophocles’ Oedipus was set in the 4th century BC; if that were true, it would have been a special sci-fi Greek tragedy, set a hundred years in the future. No, it premiered in the 5th century, and alluded to events from Greece’s semi-mythical past. Meanwhile, editor Verlyn Flieger did herself no favours in a breathless BBC online article in which she seemingly makes the spurious claim: “Kullervo is the origin story for Shakespeare’s Hamlet… It is likely that Tolkien knew that Shakespeare had used this tale.” Let’s assume she was misquoted, since such an inspiration would require Shakespeare climbing into a time machine, buying a copy of the English translation of the Kalevala in 1888, and then jumping back to the 1100s, Terminator-style, to kill Saxo Grammaticus before he could write the Gesta Danorum. The original literally lacks the vocabulary to avoid repeating itself. It is a spiralling cycle, intended not to be read but to be performed, constantly checking over its shoulder to make sure that the audience is keeping up. Tolkien’s version, meanwhile, turns it into a narrative story with an occasional song interlude. He buffs it up for a notional audience of hobbits – as we might expect, he is already working through his nascent idea for a mythology of the English, and Kullervo is a private experiment, unintended for publication. It also reads all too often like someone pastiching Tolkien, with awful dialogue like: “Yonder, wife, is no reek of autumn smoke nor any passing gloom, but I fear me a cloud that goeth nowise swiftly nor before it has harmed my house and folk in evil storm.” Flieger writes of Tolkien’s brief and abortive struggle to teach himself Finnish, leading me to wonder if such purple prose is some bumbling attempt to imitate the way Finns talk. Now a man in sooth I deem me / Though mine ages have seen few summers / And this springtime in the woodlands / Still is new to me and lovely. To the fridge went Lemminkäinen / Searching for the milky dregs / On the upper and the lower / Shelves he sought for several eggs. “By my father’s knife,” proclaims Tolkien’s Kullervo, like some numpty at a Renaissance Fayre, “when I am bigger and my body waxeth stronger then will I avenge his slaughter and atone for the tears of thee my mother who bore me.” The absence of punctuation is faithfully replicated from the original, either a deeply intricate recreation of Finnish speech – Finnish sentences are often so long that Finns themselves have been known to breathe in while talking as well as out – or yet another indicator that this rough draft was rough indeed. None of this should bother you. It certainly doesn’t bother Flieger, who is making no claims for Tolkien’s Kullervo as great literature. Indisputably, we can see within it the germ of what would become his Middle Earth. This is Tolkien’s own Finland fan fiction, pastiching a work that he loves beyond all telling, caught at a crucial moment when he is starting to change the names and shuffle the ideas, discarding the bits that he thinks he can do better himself. 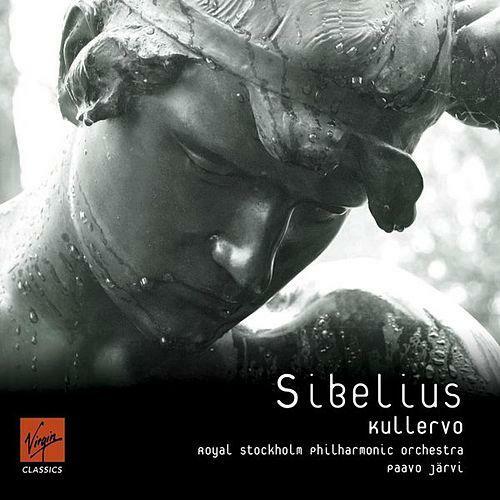 Frankly, the text of Kullervo itself is the least interesting part of this book, while the essays that accompany it are undeniably worth the cover price. More by luck than judgement, Harper Collins have chosen to publish a book by JRR Freaking Tolkien, about Finland and Finnishness, the week after Helsinki is announced as the site for the 2017 Science Fiction Worldcon. I think the sales will be fine. Trees will group differently on the horizon, the birds will make unfamiliar music; the inhabitants will talk a wild and at first unintelligible lingo. I hope… after this the country and its manners have become more familiar, and you have got on speaking terms with the natives, you will find it rather jolly to live with this strange people and these new gods awhile, with this race of unhypocritical scandalous heroes and sadly unsentimental lovers: and at the last, you may feel you do not want to go back home for a long while if at all.